Welcome to another edition of the Blue Glove Tool Review: I hate to sound like some kind of brand whoring corporate instagram shill...but check out what I just ordered from eBay. A Jegs Performance Tool (TM) 1200 piece nut/bolt assortment with a cool case setup for $21.39 with free shipping. Four plastic drawers are filled with an assortment of fasteners that are great for non-critical components (please don't use these to hold together a 200mph kit car or bunk bed for a weight loss reality TV show). The nuts/bolts are of an unknown material and SAE grade, but assume the tensile strength of a saltine and you should be good to go. Full disclosure: DT will make a few doubloons if you buy one of these kits via the above link. That's a nice price if ya need all that SAE stuff and woodscrews. Thanks for reminding me I need to find a nice Metric only nut and bolt kit! 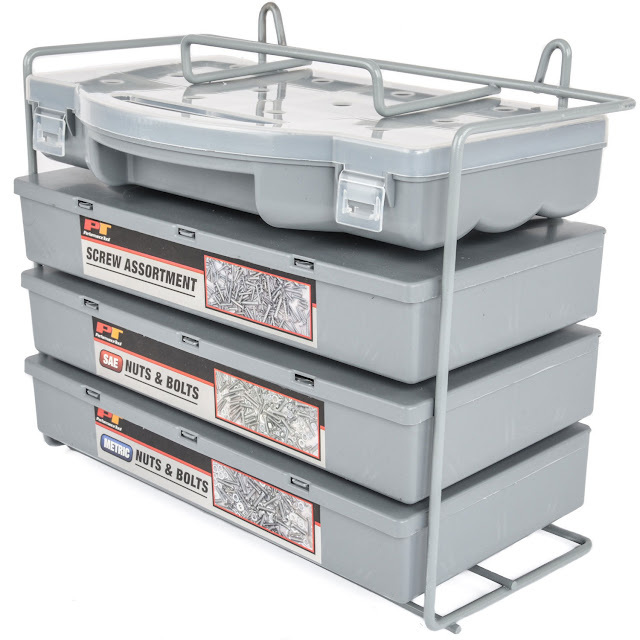 You can get just the metric tray from Jegs for about $9. I'd buy it just for the organizational containers & stand. Recycle the fasteners. I have one of these. 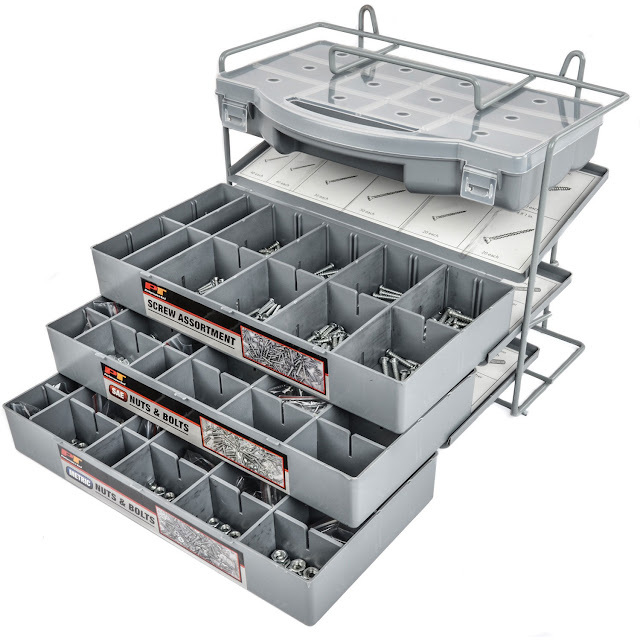 Very useful, but it is tough to get the washers out of the drawers, and once the inserts pop up, everything gets mixed together. Which it will.